This beautiful pearl bracelet is the perfect accessory for your special day. 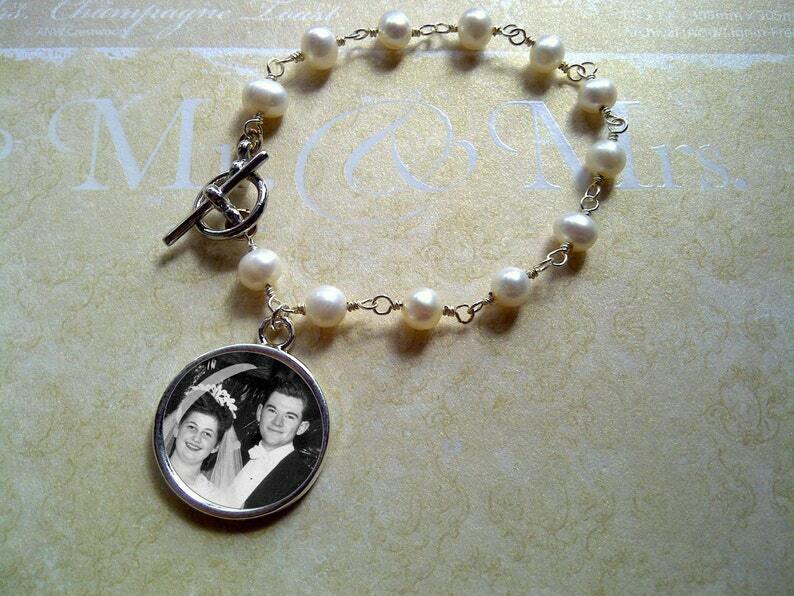 Made with anti tarnish silver wire and 5mm freshwater pearls it is then perfected with your own personal photo or image. Personalize it with a photo of a loved one unable to attend your special day to keep the memory close, making this not only your something new but old as well. The sterling silver photo charm is 20mm with an 18mm photo area. The water and scratch resistant resin coating ensures your piece stays beautiful for years to come creating a perfect keepsake!